Data centers are the cornerstone of our current economy, so it’s no surprise that they are one of the largest consumers of electricity in the world. It takes an exorbitant amount of electricity to power and cool a giant data center. 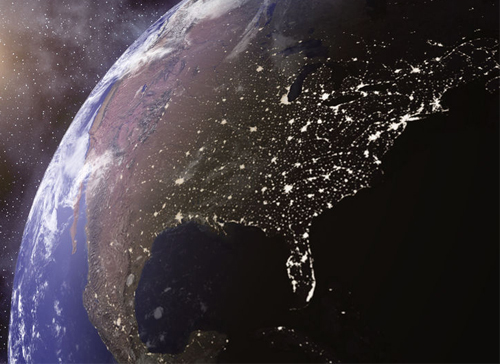 Here in the United States, data centers consume almost 3 percent of total electrical energy. To calculate power usage and costs, you have to use “kilowatt hour” (kWh), the standard for data center power usage and billing. Kilowatt hour represents power in kilowatts and time in hours. One kilowatt hour is a unit of energy equal to 1,000 watt-hours. Data centers consumed over 100+ billion kilowatt-hours of electrical energy, enough to power all of New York City’s households twice over. A recent study showed the data center industry could be using 20% of all available world electricity by 2025 because of the incredible amount of data being created at lightning speeds. 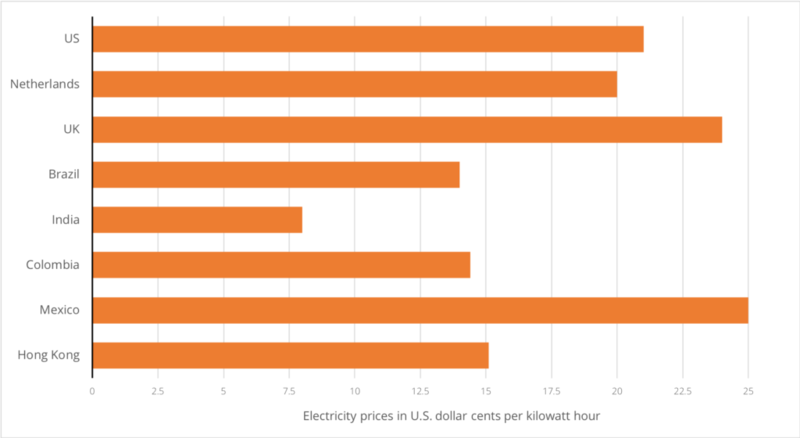 This following graph from 2017 shows electricity prices in US dollars per kWh. Europe dominates the upper-range of prices, with Germany and Italy winning (or rather, losing) for highest electricity prices worldwide. This is a consequence of their widespread use of natural gas, which is more expensive than most other fossil fuels. This is also because there are no nuclear power plants in Italy after a referendum based on Chernobyl fears. HostDime originally published this article in 2015 with 2014 numbers, and among these highlighted countries, there’s been some major rise and fall. US, UK, and Netherlands have all increased by 10 cents. 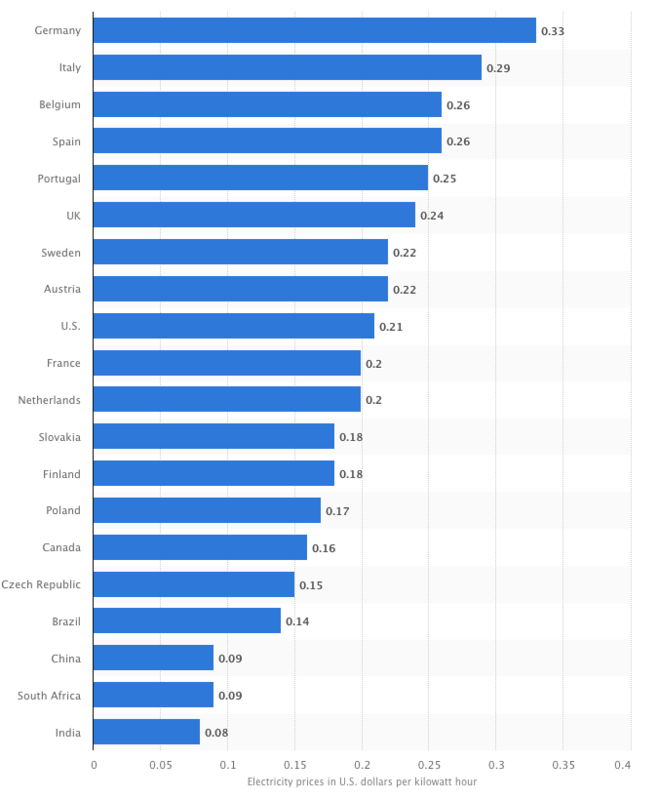 India was the big winner, going down from 18 to 8 cents, and Hong Kong has done well too going from 24 cents to 15 cents. Brazil, Colombia, and Mexico all stayed about the same. A final note regarding these numbers: This should just be used as a simple comparison because these prices are slightly inaccurate due to always fluctuating exchange rates, country’s purchasing power, government subsidies for electricity, and so on. 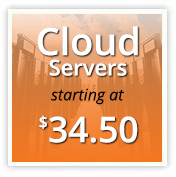 Also depending on where you live in a given country, your price can change drastically. For instance, Louisiana pays just 8 cents/kWh, while New Yorkers often pay triple that.